These photos were taken in front the Hôtel de l’Oise which is still standing today. 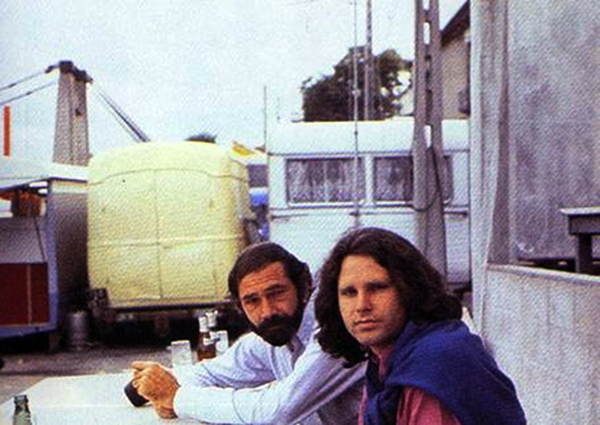 Here is Morrison with Alain Ronay, the man who unknowingly took the last photographs of The Doors “The Lizard King”. Morrison died in this bathtub below. Click on the photo or link for details on his death location. WOW ! I have not seen a few of these,wish I had known them both, such a sad loss, they are missed. That guy with the brown long hair talking to Jim is a journalist who wrote a book about their brief meeting. I don't know if there is an English translation of it. But the journalist was clearly impressed. 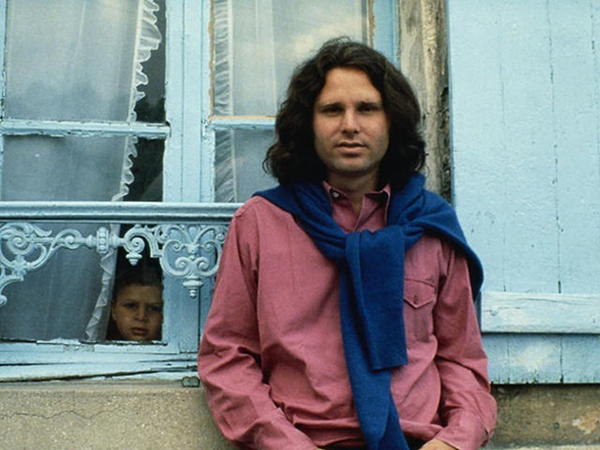 these have all been seen widely and are authentic to jim's last days in paris. the last two are photos with herve mulller(sp? ), a french journalist that is indeed in the last photo above with jim. 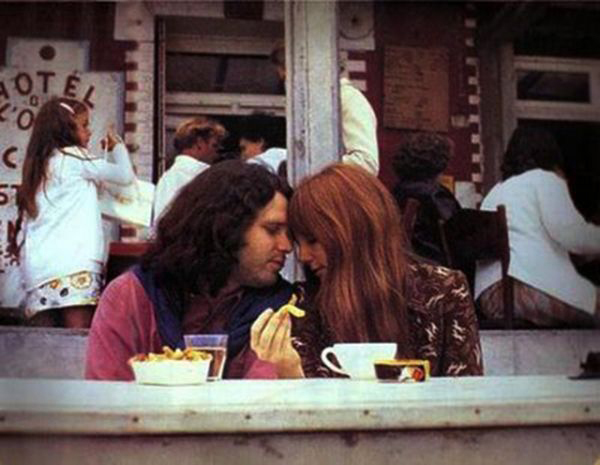 pam is cropped out but stands to jim's left in the original photo. 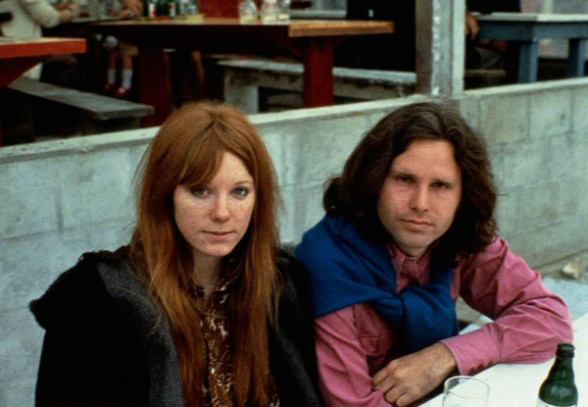 photo previous to last is taken at an outdoor table at a parisian cafe with a group including herve….jim is shown during a drinking lunch shortly before his death. There's been some discussion on that bearded Morrison staring at the window photo. It his him clearly, but, was not taken during his last months in Paris. It was most probably taken in 1969. During his last months he never grew a beard, that's a fact, he actually shaved his beard on the plane during the trip from L.A to Paris. 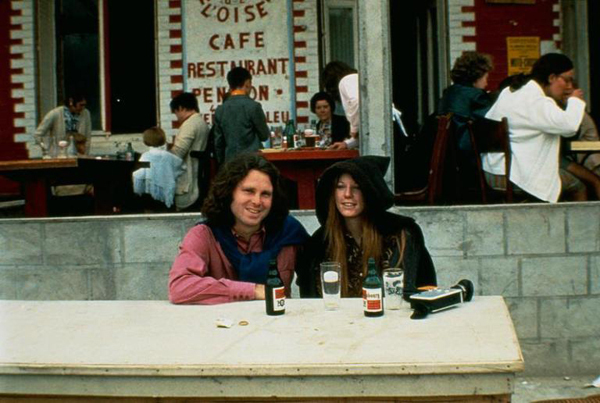 Also if you notice his hair is not as long as it was on the real last known photos (the same ones featured here) so, yeah, is definitely not Paris 1971 -could be Paris or some other location in France but 1969 or 1970 though, as he visited France during that period before moving.